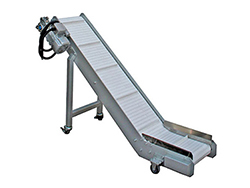 The screw conveyor will move materials to be packaged to the weighing section of the packaging production line, and in doing so, carry out automatic material feeding. This process requires no manual operation, thus improving production efficiency. 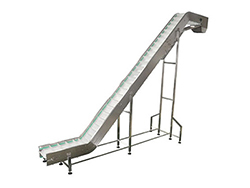 The conveyor is capable of conveying powdered materials, including milk powder, rice flour, milk-tea powder, starch, protein powder, condiments and more. Lifting angle: it is routinely 45 degrees but we can freely customize it from 30 to 60 degrees. 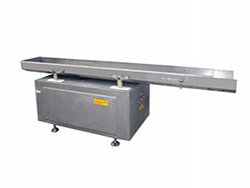 Lifting height: it is routinely 1.85 meters but we can customize anywhere between 1 to 5 meters. 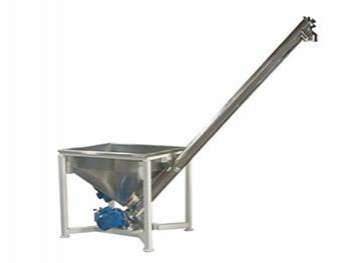 The screw conveyor is equipped with a cubic feed box with vibration device. There is also an optional custom spherical feed box. 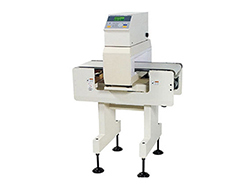 The entire machine features a stainless steel structure, and any components that come into contact with materials are made of 304 stainless steel.